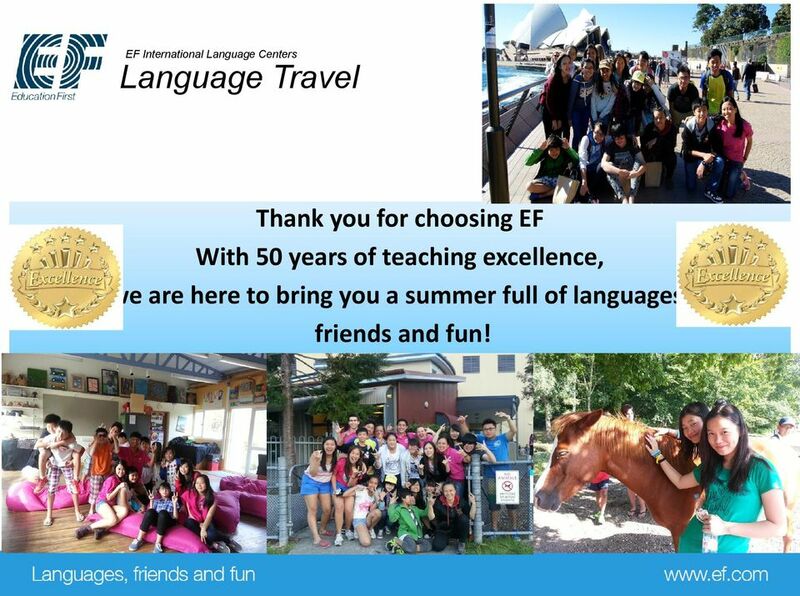 Thank you for choosing EF With 50 years of teaching excellence, we are here to bring you a summer full of languages, friends and fun! 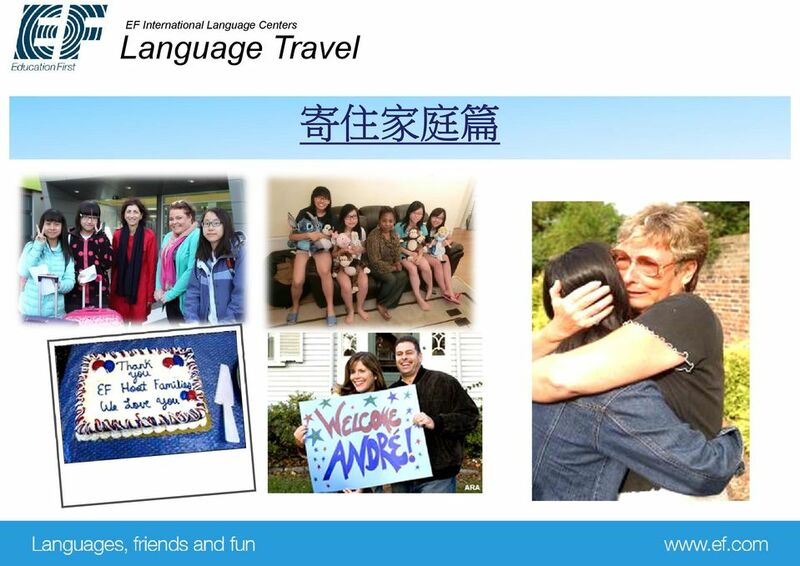 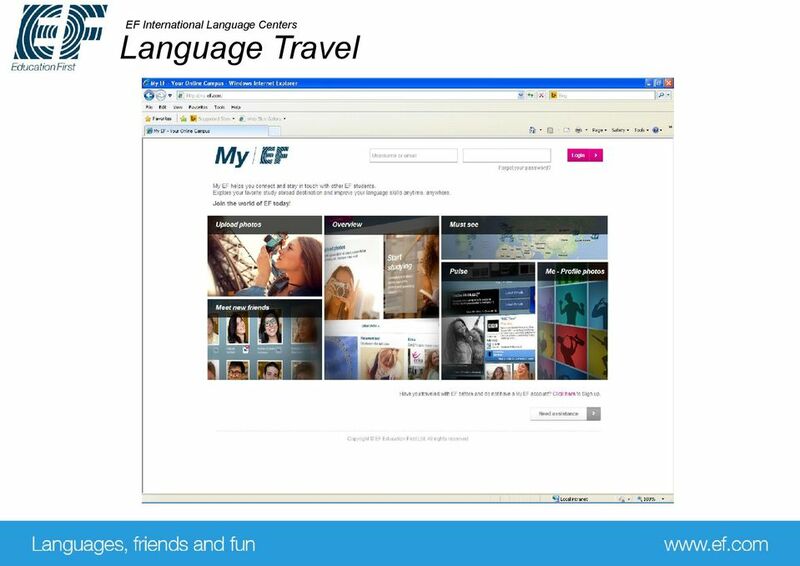 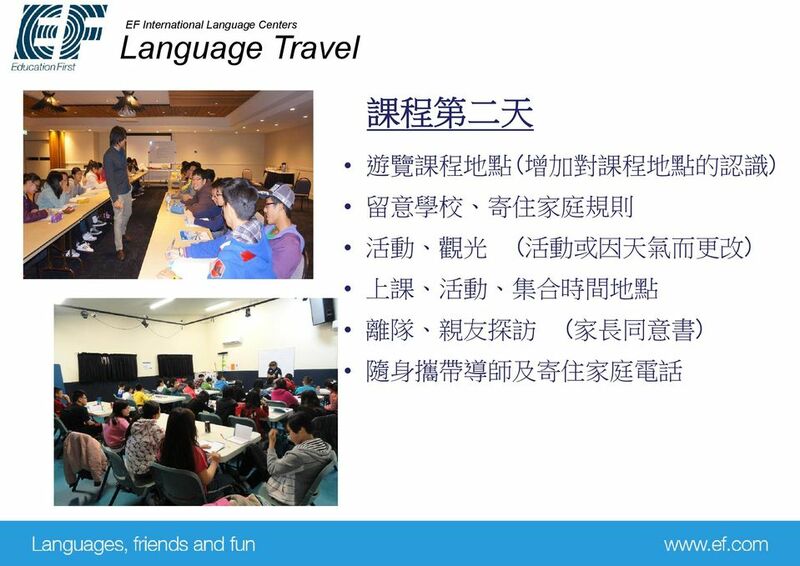 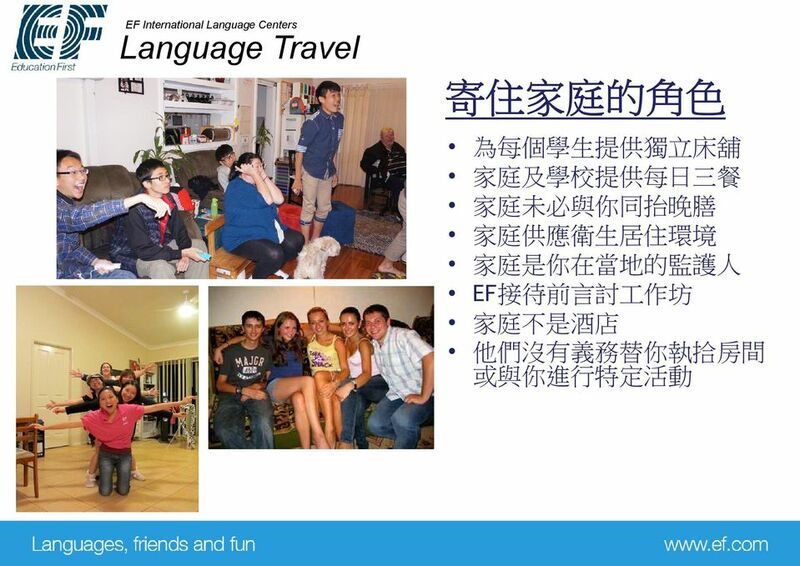 Download "Thank you for choosing EF With 50 years of teaching excellence, we are here to bring you a summer full of languages, friends and fun!" 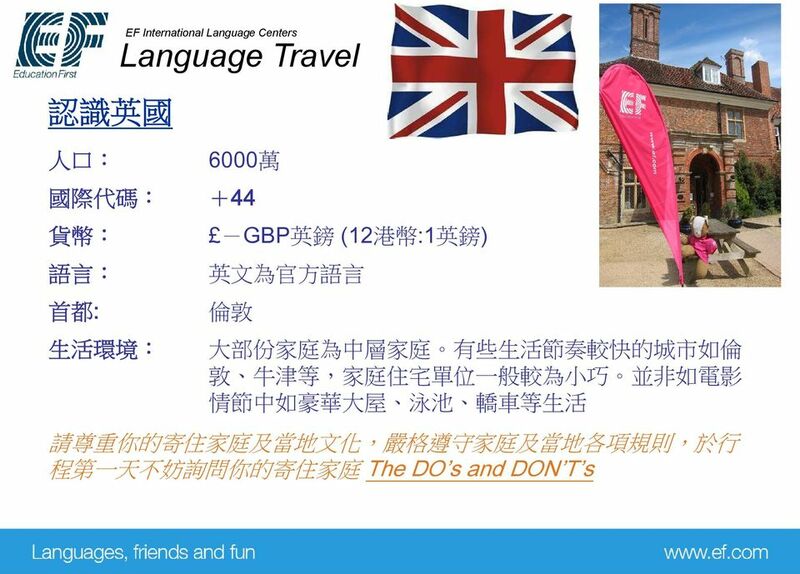 2 Thank you for choosing EF With 50 years of teaching excellence, we are here to bring you a summer full of languages, friends and fun! 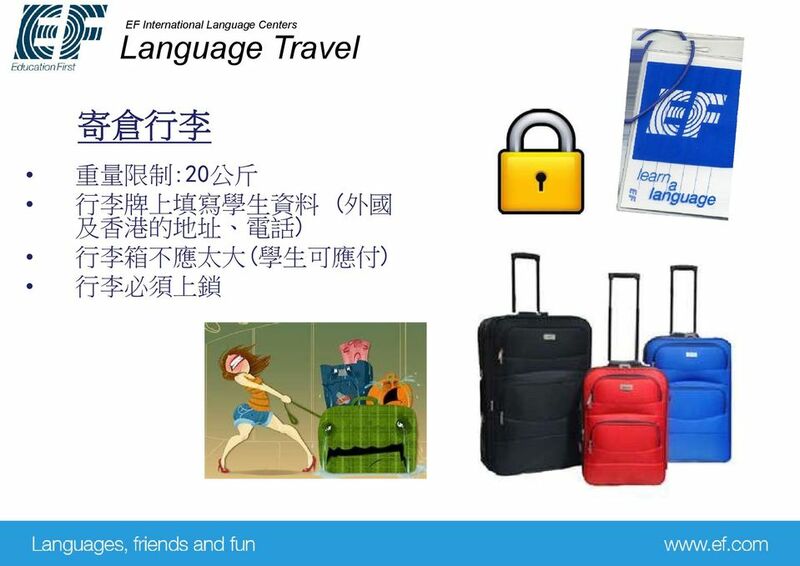 29 轉 換 寄 住 家 庭 3 天 適 應 期 向 領 隊 尋 求 協 助 家 長 請 勿 反 應 過 敏 學 生 不 應 誇 大 事 情 請 尊 重 你 的 寄 住 家 庭 及 當 地 文 化, 嚴 格 遵 守 家 庭 及 當 地 各 項 規 則 緊 記 The Do s and Dont s 什 麼 是 Last Minute Cancellation? 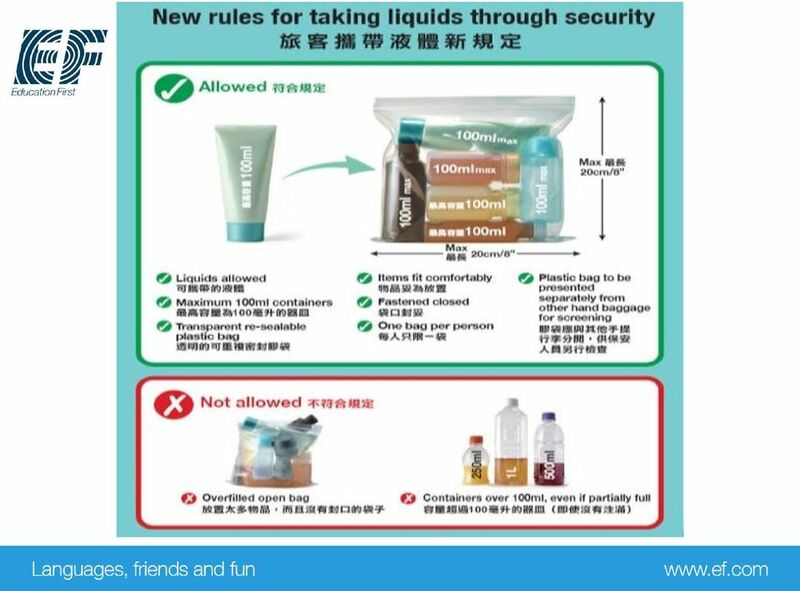 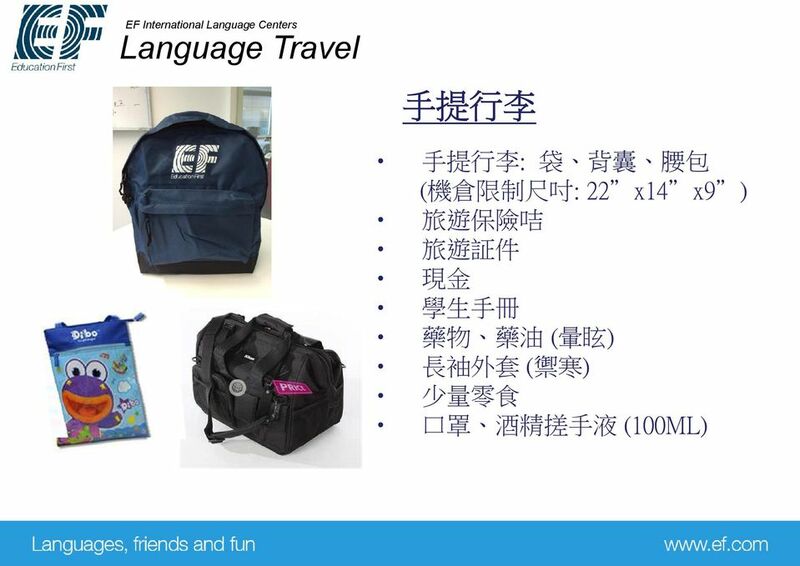 34 學 生 守 則 及 嚴 禁 事 項 家 長 與 學 生 熟 讀 學 生 手 冊 及 簽 名 領 隊 老 師 及 EF 職 員 當 地 再 有 簡 介 請 注 意 : 違 規 學 生 將 可 能 被 開 除 學 籍 EF 有 最 終 决 定 權 决 定 違 規 學 生 是 否 需 要 自 費 提 早 返 港 不 要 成 為 提 早 返 港 的 學 生! 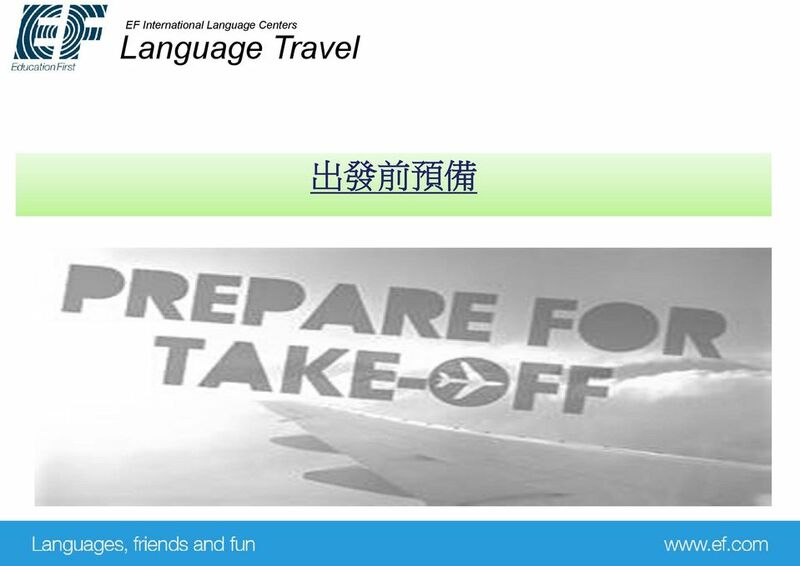 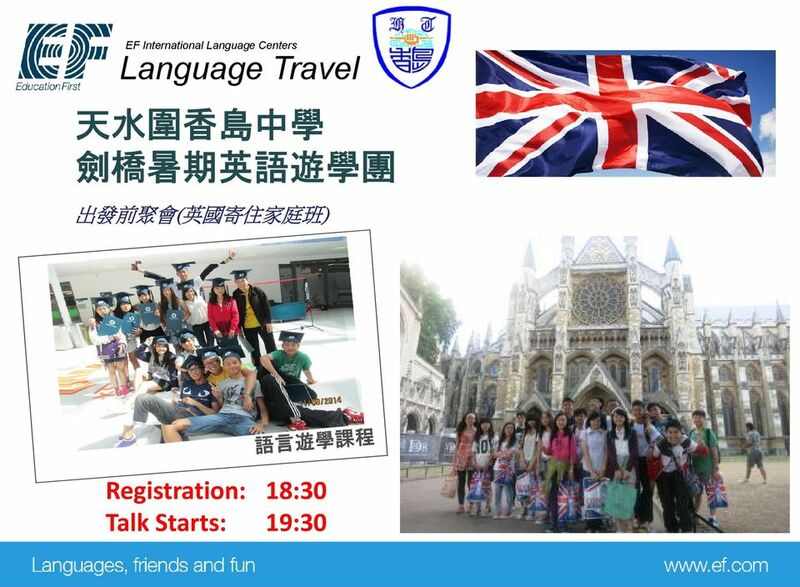 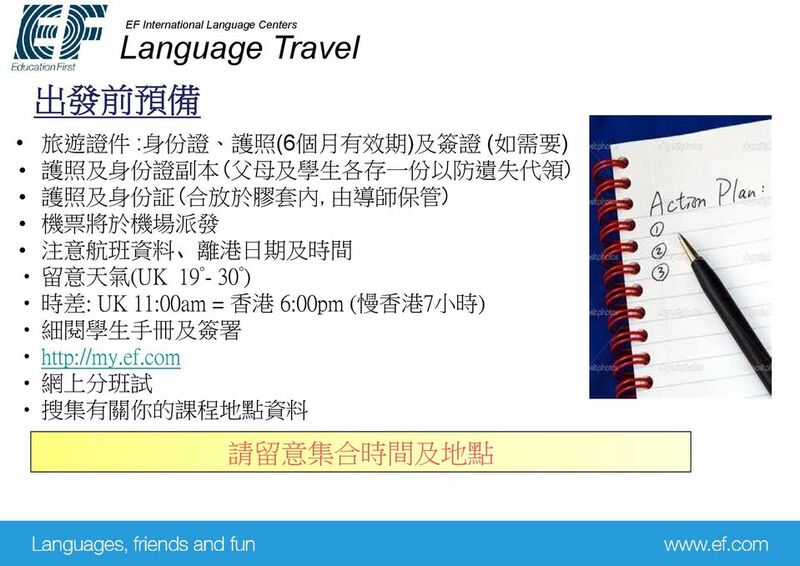 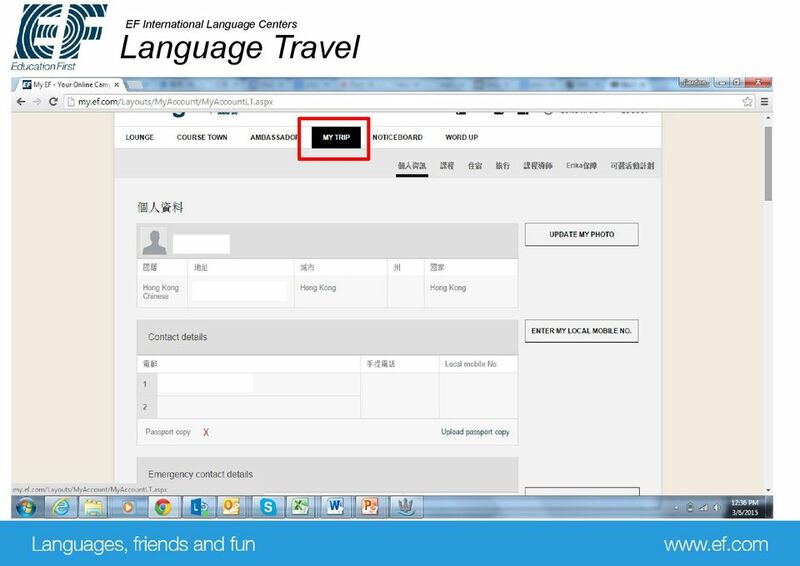 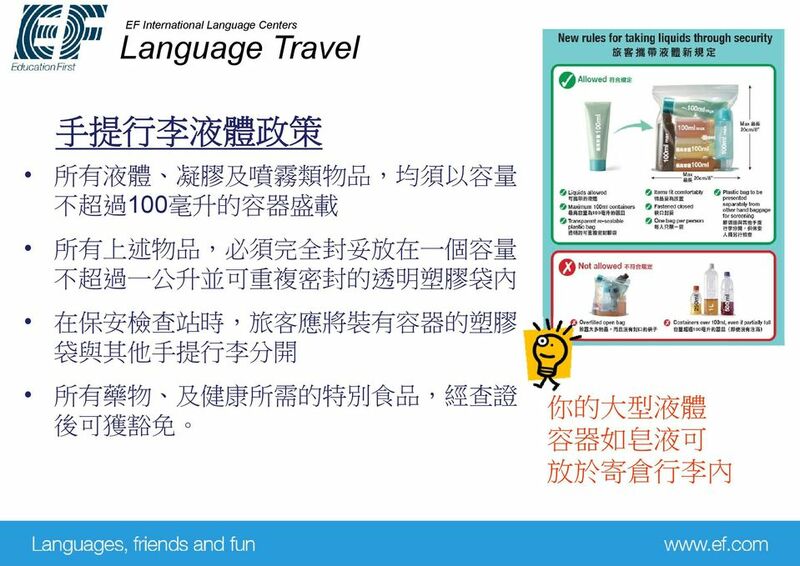 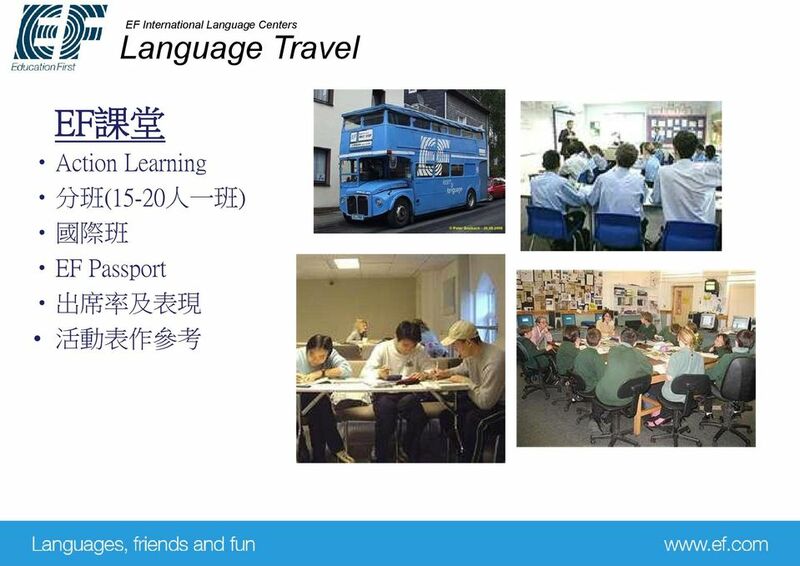 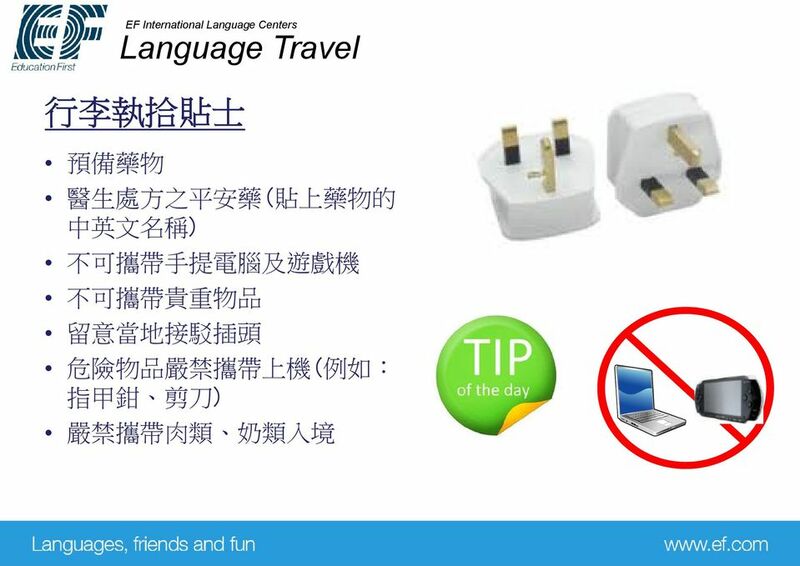 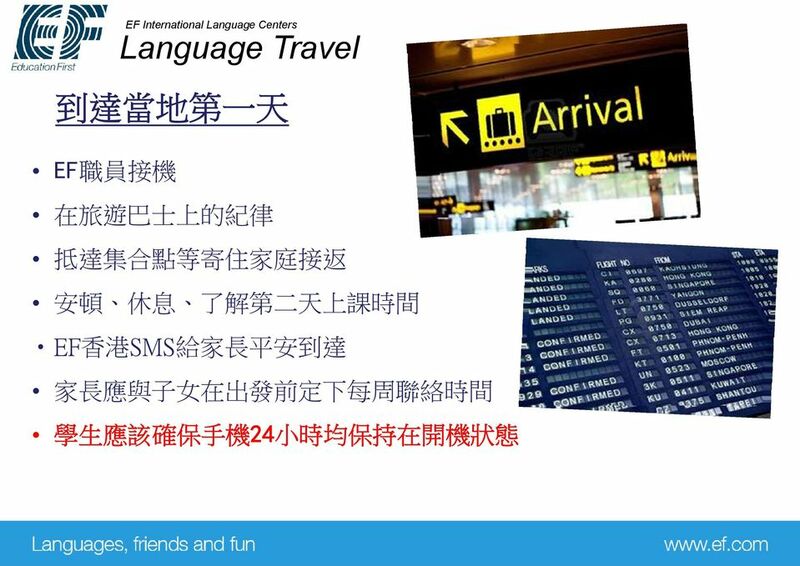 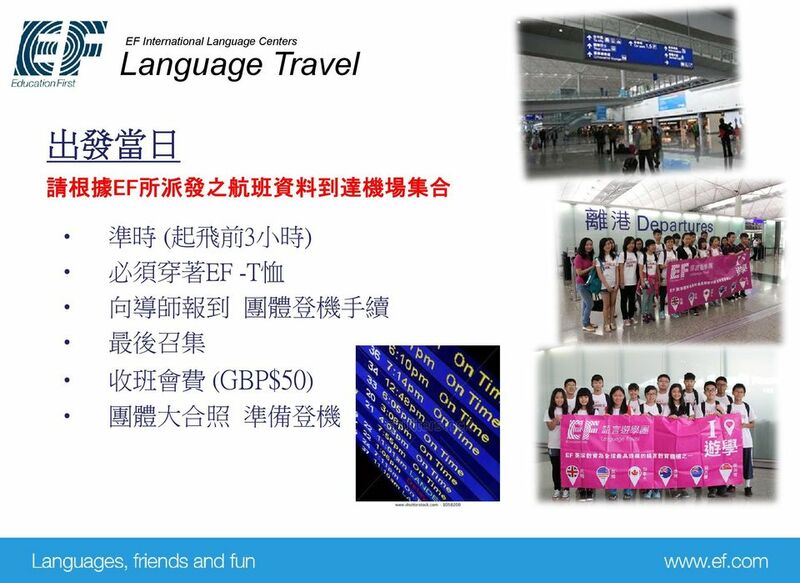 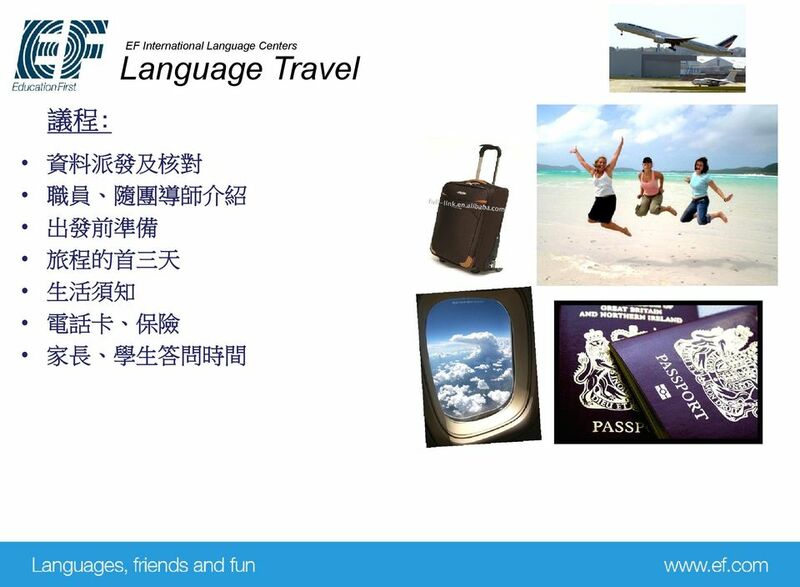 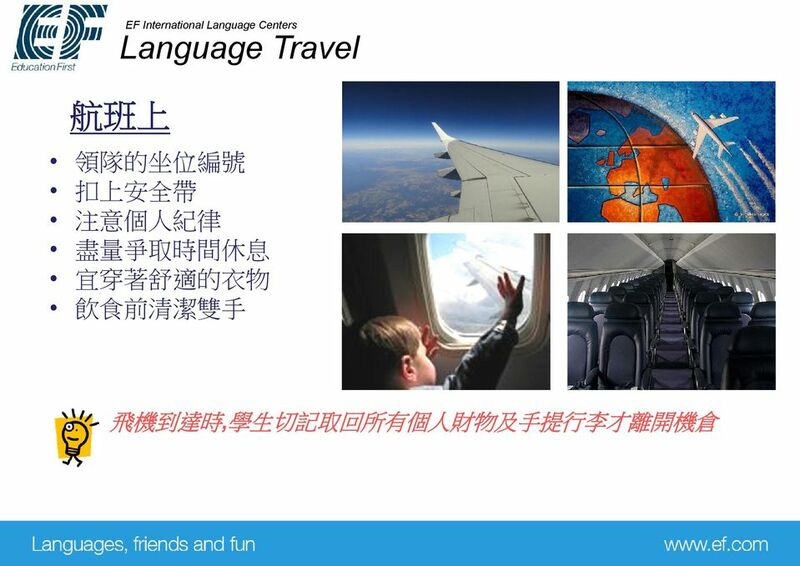 44 Thank you for choosing EF 祝 學 員 旅 途 愉 快!